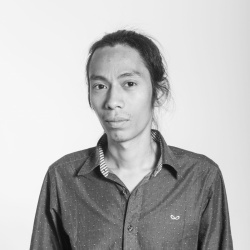 As one station of Home-City Conversation of education programme for 2015 HUGO BOSS ASIA ART, the conversation in Yangon will focus on Artist Moe Satt’s art work experience related to Yangon, Myanmar, the city he originally comes from and the art scene in. The body is Moe Satt’s foremost medium. He places actions and performances at the intersection of public spaces and the wider public, thereby eliciting both the acts of witnessing and participation necessary for a sense of co-immunity and alterity. Hand gestures and symbols are essential to Moe Satt’s practice. He uses the patterns derived from religion, social history, and even popular culture as a citational tool to communicate, to express attitudes and information, to raise questions, and to provoke. The conversation intends to discuss the history of performance art in Myanmar and the role of Moe Satt and Beyond Pressure Performance Art Festival that the two speakers, artist Moe Satt and art critic Maung Day confounded back in 2008. The history of performance art will also touch upon its contribution to social and political debate in a time when censorship was heavily practiced. 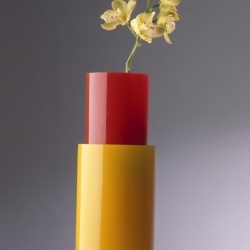 Moe Satt’s work. Larys Frogier, Director of RAM will moderate and talk to speakers Moe Satt and Maung Day directly. Moe Satt, lives and works as a visual and performance artist in Yangon, Myanmar. Moe started creating art after graduating from East Yangon University in Myanmar with a degree in Zoology in 2005 and is part of a new generation of emerging Burmese artists. In 2008, he founded and organized Beyond Pressure, an international festival of performance art in Myanmar. As a performance artist, Moe has performed in galleries and also on the streets of Yangon. He has been actively participating in live arts festivals in Southeast Asia and South Asia, and on the international stage. Through his travel encounters, Moe sees the differences between performance artists from both open and those from more restricted societies. While contemplating the regional landscape of performance art and on the artistic mind-set of individual countries in the region, he has developed a greater understanding of his own identity as an artist and as a person. Moe Satt has recently participated in the 2nd CAFAM Biennale at CAFA Art Museum in Beijing, China, in 2014, and in the group exhibition “A Journal of the Plague Year” at Para Site Art Space in Hong Kong in 2013. The artist also curated the exhibition “General / Tiger / Gun” at Rebel Art Space in Bangkok, Thailand, in 2014. Maung Day (b. 1979) is a Myanmar-born poet, artist, translator and social activist. He has published four books of poetry in Burmese, Maung's mother tongue. His poems have appeared in international magazines such as Shampoo, The Wolf, Guernica, The Awl, Bengal Lights and International Poetry Review. Maung’s translations of children's books include The Wonderful Wizard of Oz, Charlie and the Chocolate Factory, Charlott's Web and several others. He co-founded the celebrated Beyond Pressure International Performance Art Festival in Myanmar in 2008 and his artworks have been showcased home and abroad. Larys Frogier, Director of the Rockbund Art Museum (RAM) in Shanghai. Curator, critic and art historian, he is involved in artistic and social challenges in post-global contexts where ongoing social, economical, cultural transformations demand new ways of interrelations, citizenship and reinvented creativity. He curated numerous exhibitions and published extensive essays on the works of international artists: Adel Abdessemed, Nan Goldin, Felix Gonzalez-Torres, Paola Pivi, Ugo Rondinone, Wang Du, Yang Jiechang. Previously the Director of the contemporary art centre La Criée in Rennes (France), he curated long-term projects (symposiums, residencies, exhibitions, publications) which question the links and ruptures between broadening transcontinental areas. 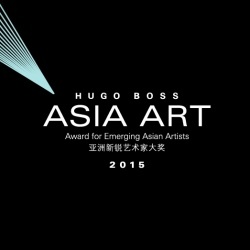 Chair of the HUGO BOSS ASIA ART jury since 2013 at the Rockbund Art Museum, he is conceiving this new award, exhibition and research program as an evolving platform to promote emerging artists and to question Asia as a construction to investigate rather than a monolithic area or fixed identities. Larys Frogier taught art theory, history of art and curatorial studies at the University of Rennes, while he was also researcher at the École des Hautes Études en Sciences Sociales (EHESS) and at the Archives for Art Criticism. 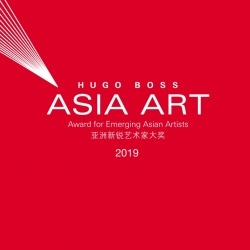 HUGO BOSS ASIA ART (HBAA) is a platform and an on-going process of investigating into the concept of Asia and the transformation of art in this region in the global times. 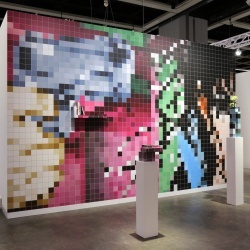 Through selection process and education and exhibition programs, each edition steps into new territories toward mapping contemporary art in Asia in multiple facets and layers. Following the success of the first edition focusing on Greater China, the 2015 Award goes on to look at SE Asia, which represents a response to the shifting geo-political situations in this area and a further move of the Award towards its mission. 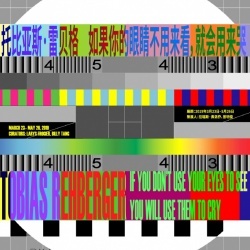 With 6 shortlist artists selected in this year from mainland China, Taiwan, Myanmar, Cambodia and Philippines, it is an evitable challenge to discover and present the full contexts of each artist’s work for the public and art community in Shanghai and beyond. Indeed artists do not just work in their studios, but are deeply engaged with their physical, social and historical environments and respond to such challenges through their work. Therefore, as part of the 2015 HBAA education program, Home City Conversations attempts to look at the immediate contexts for the shortlist artists’ work – from the cities they live and work in – by studio visit and public conversations. 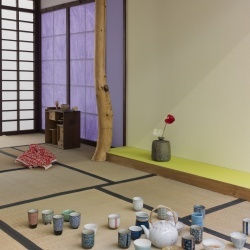 At the same time, such processes will also create a new framework for discussing about their work locally, enable the subjects and media that the artists are concerned with to be considered with reference to wider practices of artists across Asia. We believe these activities will engage with the local people and art community, and bring new light to the artists’ work as well as to the regions for an international audience. The conversations will be organized by Rockbund Art Museum, and will take place from September to November 2015 in Beijing, Manila, Yangon and Taipei. Each stop will be co-hosted by one local art institution and joined by one local curator. The entire process will be documented and reported by journalists from Shanghai and international media.